Carefully selected raw materials, as far as possible to avoid impurities, the use of years of extension line processing technology, whether it is hard (H) or soft material (A), tensile strength and electrical conductivity can have stable characteristics. Good straightness There is almost no problem with the free path, which improves the machining accuracy and automatic assembly rate. Through Diamond Eye Mask, high-precision management control wire diameter tolerance within ± 1.0μm. 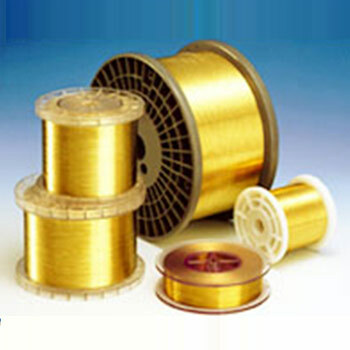 The surface of the electrode wire is smooth without scratches, dents, etc., and the exclusive surface treatment is used to reduce the occurrence of brass powder to correspond to continuous operation for a long time. The optimal winding take-up tension, even in the case of ultra-fine specifications or large single-product electrode wires, can be smoothly laid. 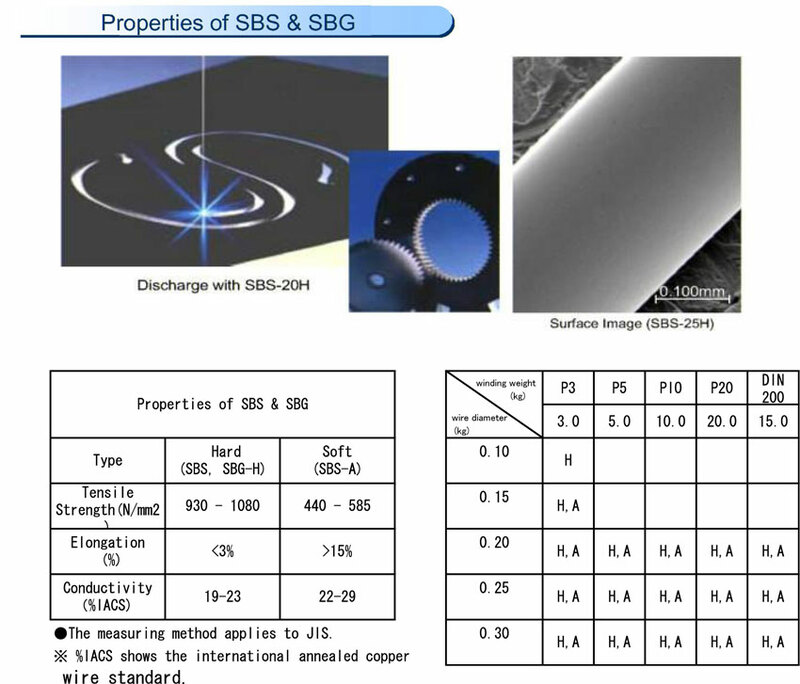 SBS is a wire for the mediocrity of the world standard that uses the C2700 faction brass alloy corresponding to most wire electric discharge machines including Mitsubishi Electric Corporation and Charmie. SBG is the best electrode wire for the wire made by Sodick electrical discharge machine (since the MK21 power supply) that adds the improvement to standard SBS. It is possible to use it under the standard brass condition in the processing manual by a steady quality. The generation of a metallic powder in the guide part of the wire electric discharge machine is a little because the bar chart side is smooth, and it is suitable for a continuous operation for a long time. Straight excelling and strength are possessed, and a steady automatic connecting wires is achieved. Address:No.2 KON YE 5 RD. FON SAN TSUEN.FU KOW SHAN, HSIN CHU HSIEN.TAIWAN, R.O.C. Address:No.15 KON YE 5 RD. FON SAN TSUEN.FU KOW SHAN, HSIN CHU HSIEN.TAIWAN, R.O.C.